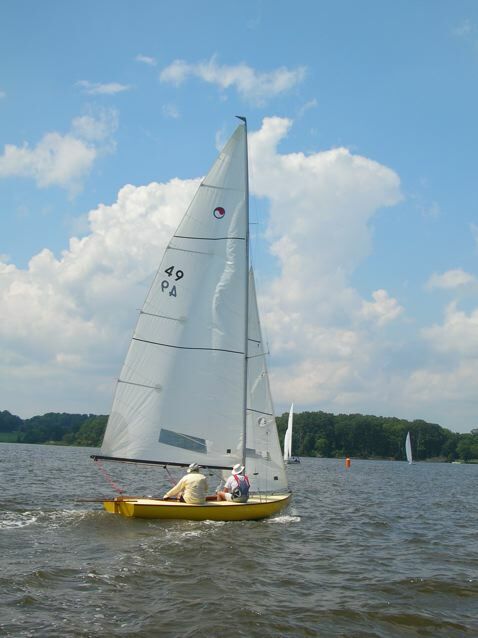 The Chesapeake 20 racing schedule for the 2012 season is now available. We are tentatively looking at Sunday April 22, 2012 for our Spring Meeting at WRSC at 5pm. This years C20 nationals will be at the MRYC away race. Clay Taylor in Endeavor handily won the Annapolis to West River race by staying out in the middle of the Bay and using the favorable current all the way to Thomas Pt. and then one tack to WRSC. He observed the crab floats since the schedule tide shift was delayed by over an hour. Six 20s participated with Osprey and Contrary in second and third. For the Billy Heintz WRSC annual regatta, Bob Blomquist in Gracie dominated the five boat fleet in pretty heavy winds on both Saturday and Sunday. There was a capsize, broken headstay, ripped up fairlead, among the damages as we either had to deal with large powerboat wakes on Saturday off Rhode River, or a rolling sea on Sunday off Curtis point. See delays below.